On this week's edition of Washington Watch Weekly, Jack Hibbs, Senior Pastor of Calvary Chapel Chino Hills, joined Tony to discuss his efforts to overturn the AB 1266 transgender bill in California. Rep. Mark Meadows (R-N.C.) was on to talk about the Government shutdown and debt ceiling debate. Also, Rep. Mike Pompeo (R-Kans.) 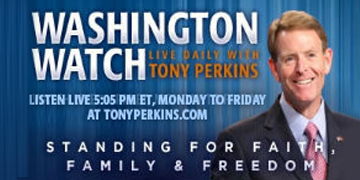 joined Tony to talk about the recent attack on religious liberty regarding contracted Catholic Priests in the military.